Heavy-handed presentation undermines Cincinnati Symphony revival of Dett's "Moses"
James Conlon led the Cincinnati Symphony Orchestra, May Festival Chorus, and an appreciative audience in a rousing encore of Handel’s “Hallelujah” chorus from The Messiah to close its “Spring for Music” performance Friday night at Carnegie Hall. Yet it was another refrain of “Hallelujah” that loomed larger over the evening. 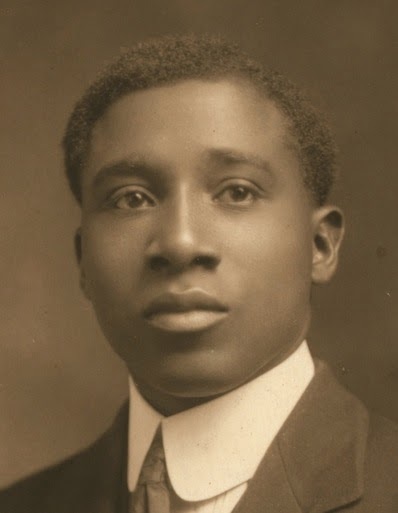 In 1937 the Cincinnati Symphony premiered R. Nathaniel Dett’s oratorio, The Ordering of Moses at a May Festival concert, which was broadcast live on NBC radio. About 45 minutes into the African-American composer’s hour-long work, the choristers intone “Hallelujah” in response to the drowning of the Pharaoh’s armies. Then NBC cut the broadcast for reasons that remain unknown today. Unlike 74 years earlier, Friday’s listeners, both in the house and those tuning in on WQXR, heard the oratorio through to its exultant finish. 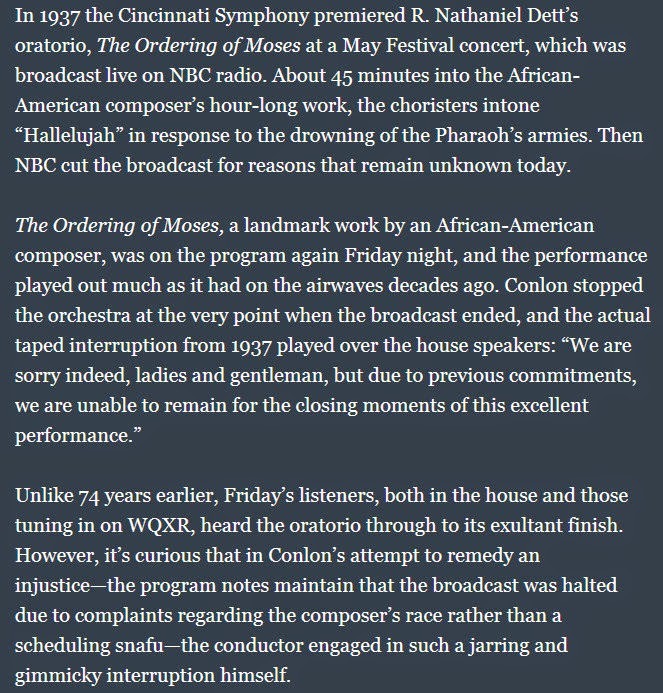 However, it’s curious that in Conlon’s attempt to remedy an injustice—the program notes maintain that the broadcast was halted due to complaints regarding the composer’s race rather than a scheduling snafu—the conductor engaged in such a jarring and gimmicky interruption himself.